Historical Development: Ekiti State is one of the six new states created on 1st October 1996 by the then Provisional Ruling Council and announced by the then Head of State, General Sani Abacha in a national broadcast to mark Nigeria's 36th independence anniversary. This makes Ekiti State one of the thirtysix states of the Federal Republic of Nigeria today. It was carved out of the former Ondo State, which itself came out of the old Western State created in 1967. It is now made up of Ekiti Central, Ekiti North, Ekiti South and Ekiti West Divisions. Before its creation, what is now Ekiti State and compassed twelve Local Government Areas but, at its creation, four more Local Government Areas were created, bringing the number to sixteen. 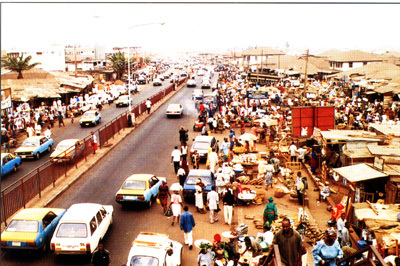 AdoEkiti is the capital of the state. Location: Ekiti State is located between lati tudes 7�25' and 80�5'N and between longitudes 4�45' and 5�46 east. The state is found to the south of Kwara and Kogi States while it is bound by Osun State to the west. To the east of Ekiti State is found Edo State, while it is bounded in the south by OndoState. Ekiti State is a landlocked state, having no coastal boundary. Administrative Areas: There are 16 Local Government Areas (LGAs) in Ekiti State. These are: Ado, Ekiti East, Gbonyin, Ekiti Southwest, Ekiti West, EfonAlaaye, Emure, lse/Orun, Ido/Osi, ljero, Ikere, Ikole, Irepodun/lfelodun, Moba, llejemeje and Oye. The apex of the administrative areas is the capital, Ado Ekiti.